Ever since its conception in 1974, the Turbo has always been the absolute pinnacle of the Porsche 911 range, combining everyday usability with mind-bending performance. Every generation, within its time, represented a special breed of 911 capable of effortlessly eating asphalt with mesmerising speed. Until today we have witnessed the glory of none less than 13 generations in the Turbo family (not counting facelifts), making it a very difficult exercise to identify that one we’d really want. But if we’d have the choice, it would probably be a 964 Turbo 3.6L. In full transparency, the 964 Turbo 3.6L wins the lot over the 964 Turbo S 3.3L by only a thread. The Turbo S is more exclusive and more powerful versus a stock Turbo 3.6L, yet its lightweight trim (fibreglass spoiler, Recaro bucket seats to name a few) puts it too close to the pedigree of a Carrera RS in our opinion. As much as the Turbo can be an awesome track day tool, the real soul of the car still lies within its everyday usability. This is where the Turbo 3.6L outshines its 3.3L predecessor as well as its anabolic Turbo S 3.3L sister car in our opinion. The 964 Turbo 3.6L was only available between January 1993 and February 1994. With a starting price at 177,000DM it was clearly positioned at the top-end of the 911 line-up. Only 1,407 cars were built, 406 of which were destined for the North American market and 159 were right hand drive. An estimated 76 cars were built by Porsche Exclusive to ‘flatnose' specification with X88 upgrade. A total of 30 (!) Turbo 3.6L cars were delivered to the Sultan of Brunei, each made to order by Porsche Exclusive and fitted with the X88 upgrade. Little is known about the fate of these machines, but there is a high likelihood that these have perished alongside other jewels in the larger-than-life collection of the Sultan. The new engine M64/50 produced 360hp at 5,000rpm, whereas torque increased to 520Nm at 4,200rpm. This significantly increased the cars boost performance versus its 3.3L predecessor. Acceleration from 0-100kph took only 4.6 seconds, topping out at 280kph. Upgraded brakes featured the ‘big red’ painted callipers that we still see on Turbo models today, significantly shortening the car’s overall braking distance by generating up to 1.2g while decelerating. The rear axle was replaced by that of the Carrera RS, adding to a M030 suspension upgrade that enabled a 20mm lower ride height. The Turbo 3.6L was also fitted with the now-iconic 18 inch Speedline split rim alloy wheels, be it without the polished look of the Turbo S. The low-profile tyres with those 40-bolt strong alloys are still as cool as they were in 1993. Maybe even cooler! 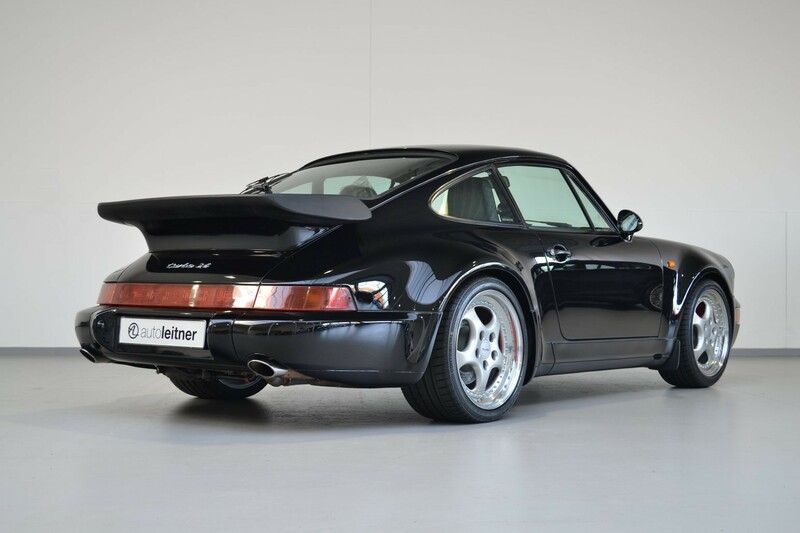 Final photo credit to Autoleitner, who currently have a truly perfect 964 Turbo 3.6L for sale. Check it out here. 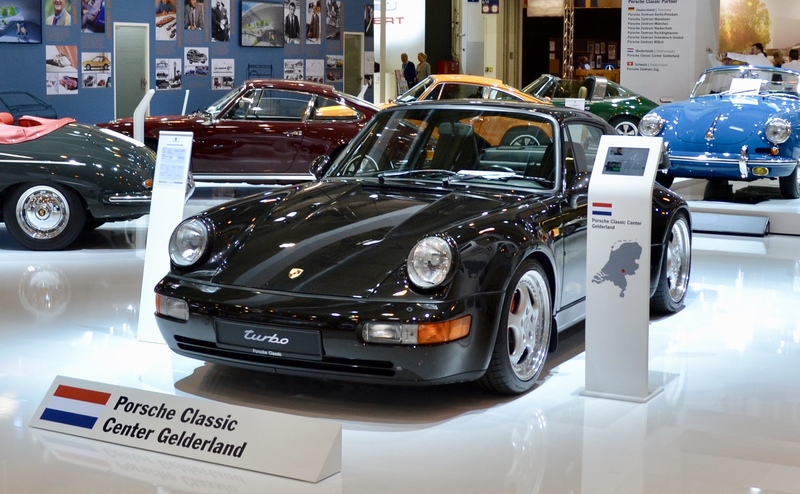 Our top picks at Retro Classics Stuttgart This year marked our first visit to Retro Classics in Stuttgart, also known as the world’s largest classic car show. A home game for all things Porsche, where we highlight some of the special and spectacular 911s on display. 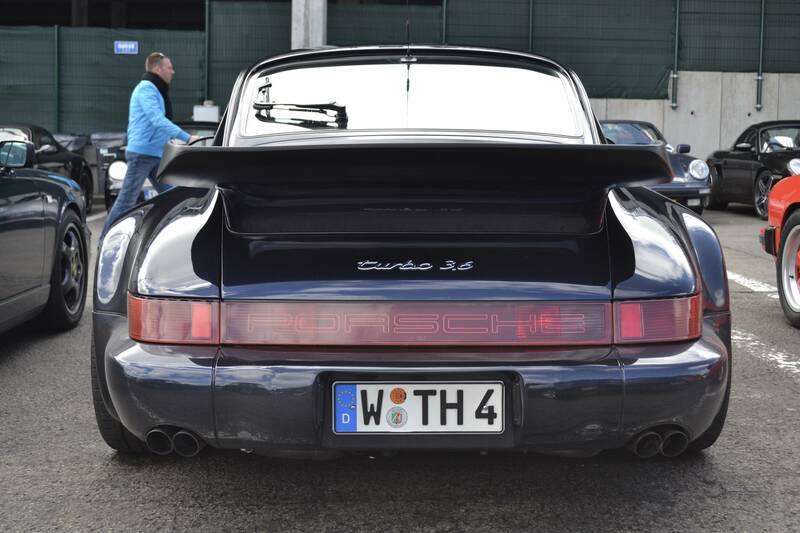 Pure 911 passion at Leybel Classics There are hardly any better ways to spend your time as a 911 enthusiast than to visit a 911 collector. We were feeling quite thrilled as we were on our way to what would be our first visit to interview a collector. The X files: the 964 Turbo 3.6L X88 cars Few Turbo generations have seen such a rich production legacy as the 964. If you consider the Turbo 3.6L to be the most epic, then you need to read up about the X88 specials that were among the most powerful and exclusive sports cars of their time.